I am good. I am living life to the fullest and without complaint. I am a college student out on my own, gaining my independence and proud of it. I have a very supportive family and many close friends as well. I have a boyfriend who is there when I need some uplifting and never neglects to let me know I am special. All these things I mentioned are the basic essentials I have and need to stay good. However, I have not always been good. I had a very turbulent childhood and certain things have affected me to this day. My parents got a divorce when I was eleven years old and that is when I went into depression. I was never diagnosed with it but I think it was because I was so good at hiding it that my parents never suspected a thing. I was the “strong” child and I had no choice, being the oldest of three. I never got a chance to have a real childhood. 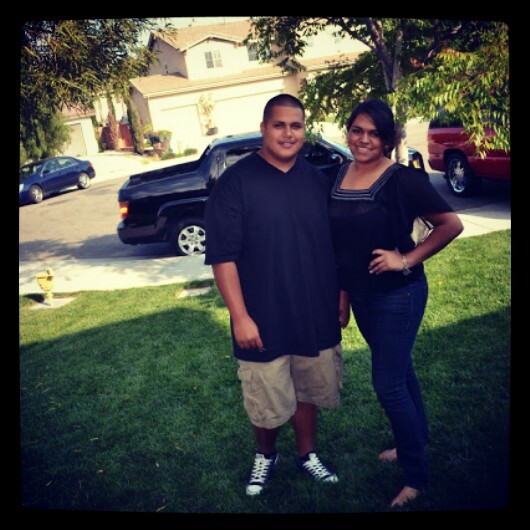 I was like a second mom to my brother and sister and it affected me a great deal. Eventually, my parents completely stopped talking to one another and that strained me the most. No child should ever be put in the middle of adult problems, but there I was playing messenger. Over time, I got fed up and expressed to my parents that I have had enough and I did not want to hear problems that they were having and being put in the middle. That resolved everything almost instantly. My only regret was waiting until I was about 17 to let them know. After that I was relieved and less tense. I no longer felt depressed and started to regain some of my confidence. Many children are greatly affected by divorces and it is because it seems that their world is deteriorating. I got through a very rough patch in my life and now I could not be any happier. What I do now to de stress is write in my journal or notebook and simply vent or plan things out. I keep a planner in my purse 24/7 and keep myself organized; definitely saves me from worrying about the day’s tasks that need completing. One of the things I do now in my daily life to stay good is yoga. I took a course last year and ever since I have been hooked. Stretching and breathing is what it is all about and I absolutely love it. Besides yoga I also enjoy socializing. Going out with friends, family or my boyfriend never fails at being a good time. An even easier way to de-stress or stay good is to simply put in some headphones and listen to your favorite type of music. Nothing beats that feeling of separating yourself from the world and submersing yourself into some good music. My favorite is Three Little Birds by Bob Marley. “Every little thing is gonna be alright.” To that, I am good.